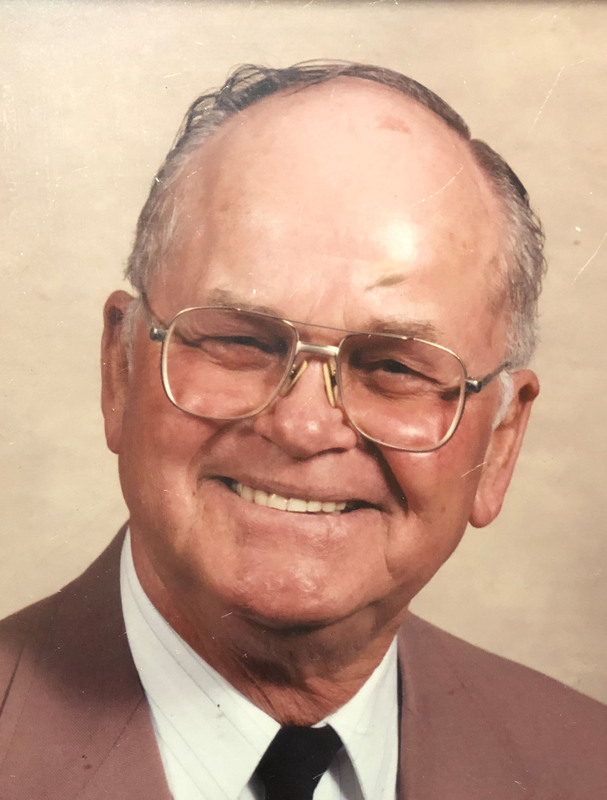 Willie Hulie Jordan, 92, of the New Franklin Community of Lavonia, passed away Tuesday morning, December 4, 2018, at his home. Born March 25, 1926, in South Carolina, he was the son of the late Jim and Inez Wright Jordan. He was the father of the late Melvin Jordan, and brother of the late Charlie Jordan, Dorsey Jordan, and Virginia Patterson. 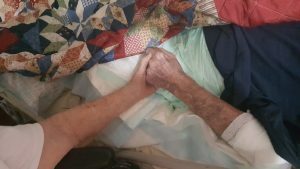 He was a WWII veteran serving in Italy with the US Army and enjoyed a life of farming. He was a member of the New Franklin Christian Church. He was survived by his wife of 72 years, Pauline Bradley Jordan; son, Wayne Jordan, Canon; daughters and sons-in-law, Carolyn Jordan, Lavonia, Diane and Lamar Patterson, Lavonia, and Kim and Billy Warf, Clayton, GA; grandchildren, Amy Segars, Adam Patterson, Nicole Beasley, Alexis Warf, Jana Jordan, Jesi Jordan, and Jera Jordan and 5 great-grandchildren, Wyatt, Chance, Amelia, Nathaniel, and Mary Kate; brother and sister-in-law, Ben and Opal Jordan, Canon, and sister Kathryn Bradley, Canon, GA.
Service will be 4pm Thursday afternoon at the New Franklin Christian Church with Carl Beckham. Interment with Military Honors will be in the church cemetery. 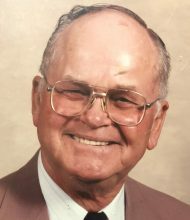 The body is at the Ginn Funeral Home, Carnesville, and will be placed in the church at 3pm Thursday. The family is at the home. They will receive friends from 6 until 8pm Wednesday evening at the funeral home. I am very sorry to hear of Willie’s passing. I will always remember his sweet smile and loving nature. He will be missed. I am so sorry to hear of Mr. Willie’s passing. He was such a good man as is evidenced by the family he raised and the work he put into the community. I met him when I started second grade. He drove the bus to school. Soon after we moved to Canon, we began attending Double Branches Church. I can still hear Mr. Willie leading the choir. He had such a wonderful voice and I always loved to hear him sing. I have many good memories from those years and the contributions Mr. Willie and his family made to the church. I always say God puts people in your life for a reason. I learned compassion and how to be a good human being from his example. Mrs. Paulene, Wayne, Kim, Diane and family you are all in my thoughts and prayers during this difficult time. May God grant you courage, strength and love in the days to come. So sorry for your loss. Prayers for your mom and all of your family that God will cover you with His Grace and the Peace that surpasses all understanding. I am sorry to hear of Mr. Jordan’s passing. His family is precious to me, and I am praying for you all. Mr Willie was like family I rented from him and Mrs. Pauline for many years they treated me and loved me like one of their children. Rest high on that mountain Uncle Willie. Praying for all his family God Bless each of you. We are so sorry,just found out a few minutes ago. Very sorry to hear about Willie. He was my mom Frances’ favorite cousin. Prayers for the family from South Carolina. Jordan Family, please except my condolences on the passing of Mr. Willie. He and my Day were both bus drivers for Franklin Co. and WWII veterans. Again, my sympathy to you all. Sending love and sympathy to Willie’s family. My grandfather was J P Bradley who passed away in his twenties. My Mother was Pauline’s cousin Hazel Bradley Parks. I came to love Willie & Pauline at the Bradley reunions. Thankful Lynn Sanders called recently to let me know. God bless you all, he will be missed.